We have compiled some answers to the most frequently asked questions we receive about Grasmere Gingerbread® or The Grasmere Gingerbread Shop. If you can’t find the answer to a particular query, please contact us for help. If you would like to view this in Other Languages please click the link. How long does the Gingerbread keep? The most important thing to note! The Gingerbread is made to an old-fashioned recipe when preservatives were not around. We make it in a ‘home’ environment, therefore the product behaves like making fresh cakes or biscuits at home, or like fresh bread. Best when fresh. That is why for you to enjoy it as it should be we highly recommend that consumption is within one week of purchase. The day you purchased it will have been the day it was made. That is why we bake it fresh everyday! Yes you can – like bread – you need to freeze it the day of purchase. Once thawed should be consumed within 24 hours to enjoy it at its best. What is the best way to keep Gingerbread? Like any other biscuit or cake keep it in an airtight container or tin and then PUT IT IN THE FRIDGE – this keeps its chewy consistency. Yes, there are no nuts in our gingerbread and we do not make any other products in the bakery that contains nuts. However, we cannot guarantee our bakery suppliers to be nut free. Yes it is dairy free and contains no animal derivatives making it suitable for Vegans! Are there any eggs in it? No, there are no eggs or any animal derivatives in our Gingerbread making it suitable for Vegans! How many calories in a piece of Gingerbread? We are only closed for 4 days of the year. Good Friday, Christmas Eve, Christmas Day, Boxing Day. Why are you closed on Good Friday? Church Cottage is owned by The Church of England and we respect the most religious day of the year. 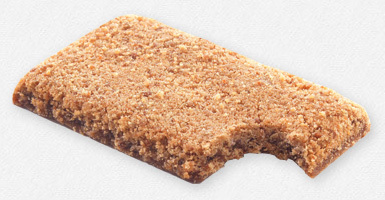 Where do you send Grasmere Gingerbread® to? Worldwide! If you wish to send to an ‘out of the way’ place then do call us to discuss custom exemptions and length of delivery. What time is delivery of the mail order? Normal next day delivery can be anytime between 9am and 5.30pm. It just depends on where the depot is and where the driver’s schedule begins/ends. Why do you not use Royal Mail for delivery? We use Royal Mail for over 50 years but after several customer complaints and first class not being delivered the next day we had to provide our customers with a more reliable, quicker and traceable service. 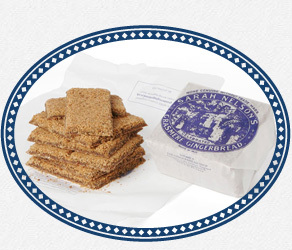 Can you buy the Grasmere Gingerbread® anywhere else? Sorry, no. Our Gingerbread is exclusive and can only be bought from the shop in Grasmere, via our mail order service or at one of the shows or events that we attend – click here to see where we are going to. What sorts of Gingerbread do you have? Only the one, the same one we have been baking for the last 165 years. Where is the Gingerbread made? Believe it or not, it is actually made in Sarah’s old kitchen at the shop in Grasmere. We do NOT produce anywhere else. What is the size of a piece of Gingerbread? Do you make Gingerbread Men? Sorry, no. We have never made men. We make it in the oblong shape as Sarah did. We do however cut out hearts and other shapes for weddings and special events. You cannot get the recipe – it is a secret and locked away in a bank vault. Sorry, we don’t although we would love to! 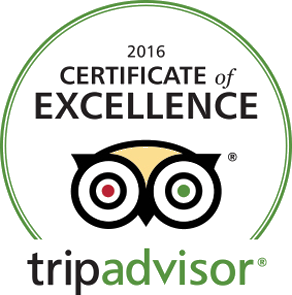 However, we do have some hotels and restaurants in Cumbria that have special permission to serve our gingerbread – click here to find out where? Is all the world made of Gingerbread? In our world sometimes it feels like it – so much so when my youngest daughter was 4 years old and on her way to have a photograph taken outside the shop, on a very wet and windy Lake District day she said to me “Mummy, is all the World made of Gingerbread”. A moment not to be forgotten!